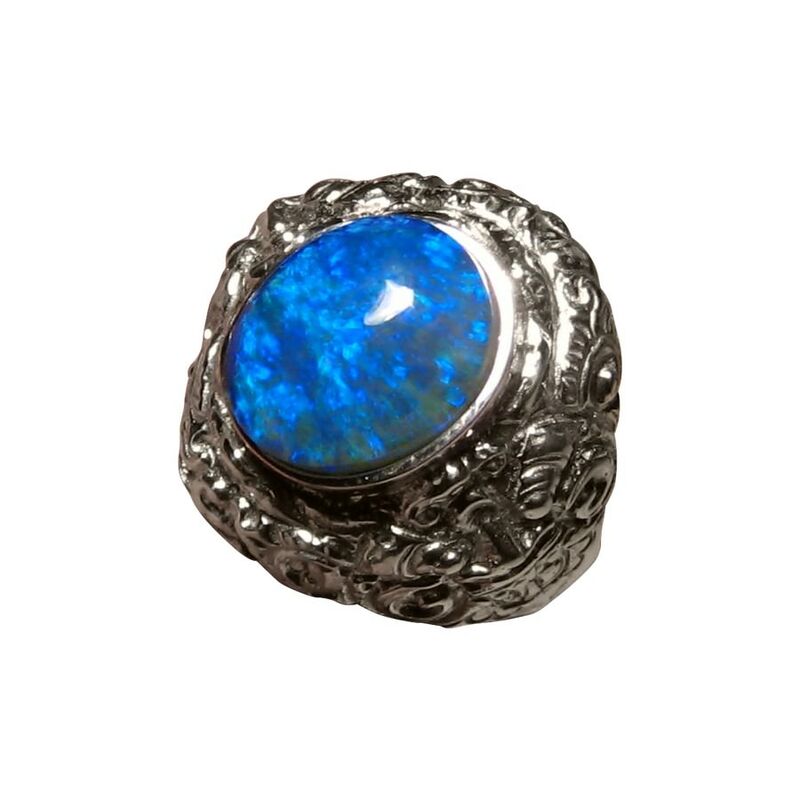 A mens Blue Opal ring in a 925 Silver Lion Barong design that is big and bright. In stock and ready to ship. This is a popular ring for men as it is big, bold and bright. Women can also wear it and it is the smaller version of the large Lion Barong. 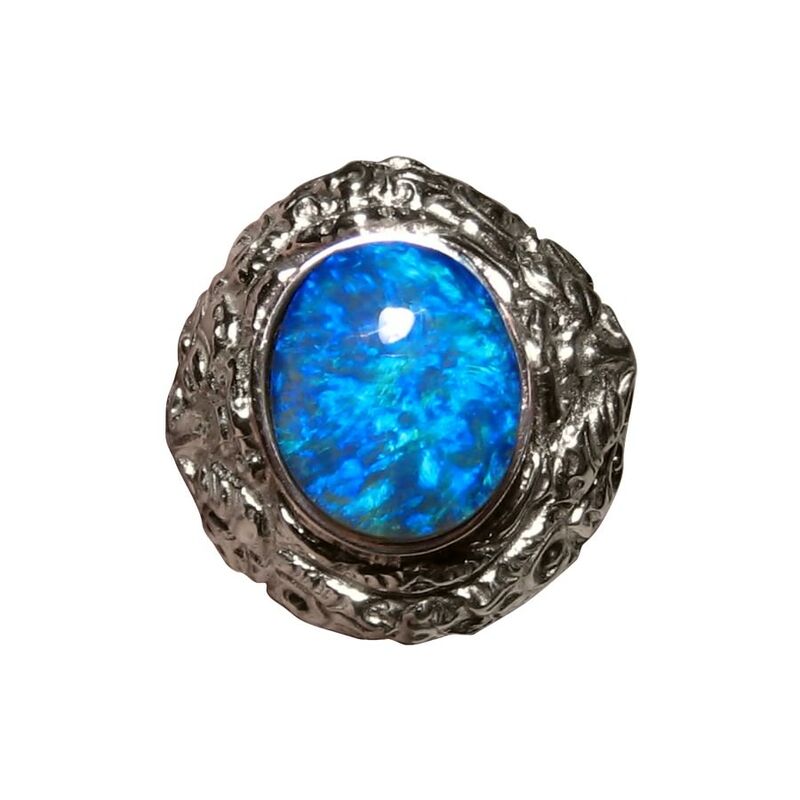 This ring is shown in 925 Sterling Silver and is inlaid with a beautiful big Blue Opal from Lightning Ridge that has a high dome and weighs almost 5 carats. The ring weighs 11 grams and sits over ¾ of an inch and is sure to be seen and admired. 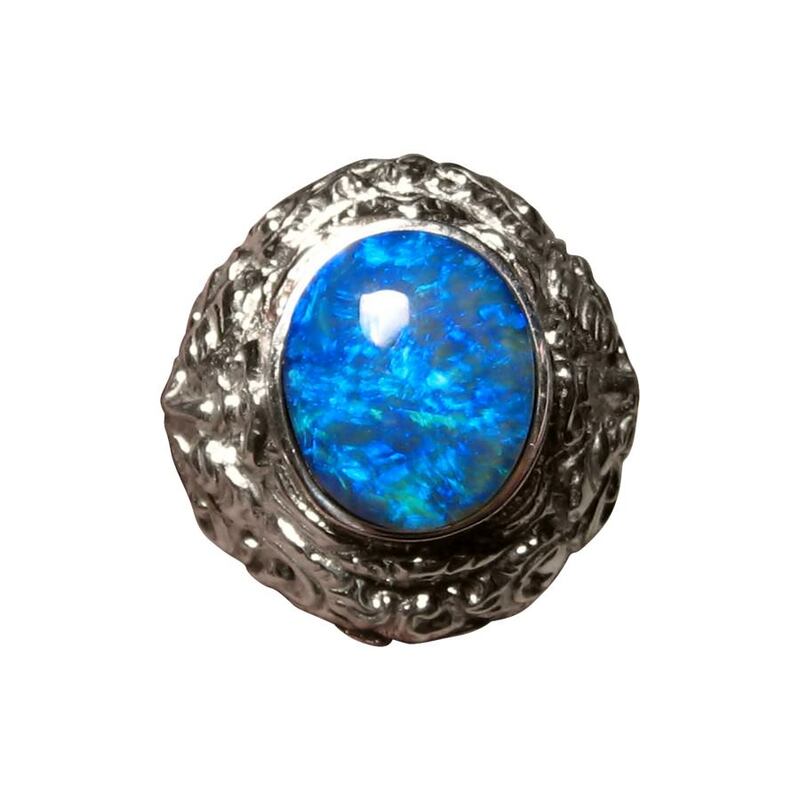 It is ready to ship as detailed below or will take about one week to make in any other ring size before this exact Opal is inlaid. The ring can be made in 14k Gold which will weigh about 15 grams and the price will change when choosing the metal. *ABOUT THE BARONG. The Lion Barong is one of five traditional Barong. In Bali, each region of the island has its own protective spirit for its forests and lands. Each Barong for each region is modeled after a different animal. There is a boar, a tiger, a dragon (or serpent) and the traditional lion. The lion is the popular one as it comes from the Gianyar region of Ubud.